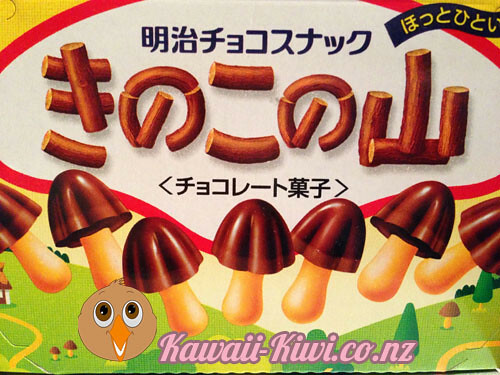 I have always wanted to try Meiji Mushroom Mountain Chocolate Cookies, adorable little chocolate mushroom caps on crunchy biscuit stalks. Delicious! When I did my recent Blippo order, I looked for Meiji mushrooms but both the normal boxes and the DIY kits were all sold out at the time. It seems they are a very popular snack. 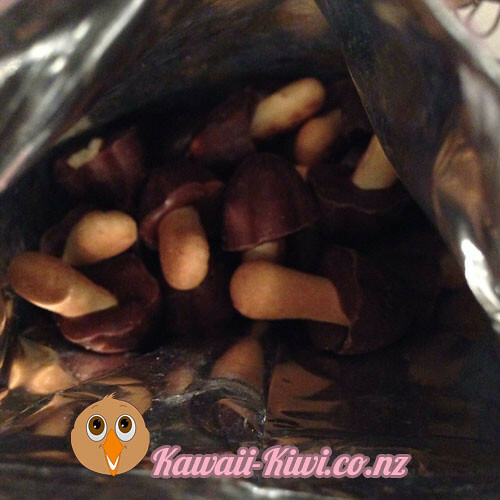 I tried a few other online shops, but Meiji Mushrooms were sold out everywhere! Then over the weekend, I stopped in at Japan City. 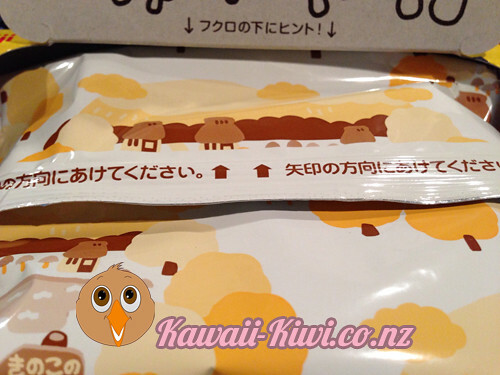 On the shelf in the food section were several boxes of Meiji Chocolate Mushrooms! I couldn’t believe my luck and bought one immediately. The milk chocolate itself is very nice and sweet, and the crunchy biscuit stalks make them quite moreish. 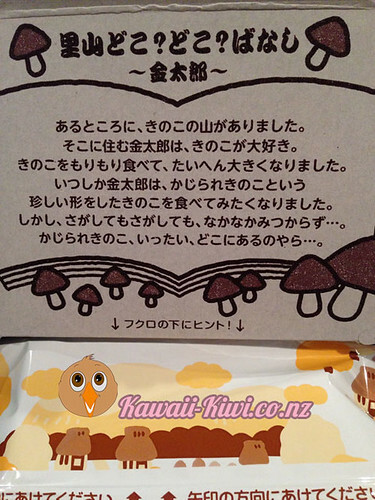 The packaging is very cute also, with illustrations both inside and out and a cute inner sealed bag for the mushrooms. 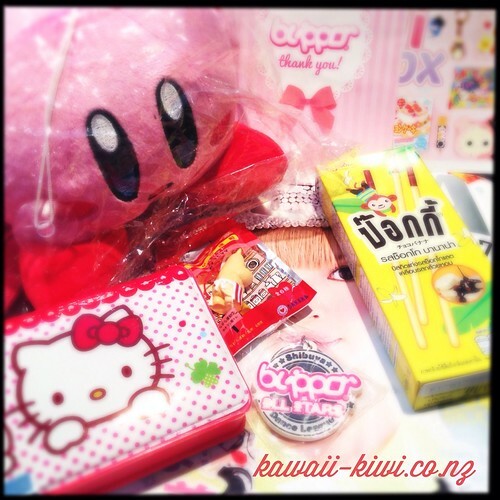 I will be keeping a lookout for these again at Japan City in Wellington!